Lanvin parted ways with its artistic director Olivier Lapidus yesterday, the French fashion house reported. Mr. Lapidus, who joined the brand in the summer of 2017, had only overseen two shows at the struggling brand. His sudden departure is one that some are calling a pattern. Joanne Cheng, interim CEO of Lanvin told WWD, “Olivier steered the Maison through a transitional period between ownerships,” and “We thank him for that, and wish him every success for his own brand and future endeavors.” The in-house design team will be responsible for further collections until a new artistic director is found. Last month the Maison was acquired by Fosun International, a Chinese conglomerate after a bidding war ensued to purchase and revive the brand, which has been struggling with declining sales and an identity crisis for the past several years. After the sudden firing of acclaimed designer Alber Elbaz in 2015, the company hired Bouchra Jarrar, who lasted for 16 months. Quickly afterward, Lanvin brought in Mr. Lapidus. It seems clear that the house has been struggling to identify their customer, further reflected by the stark contrasts between the last three artistic directors. The shoes left behind by Alber Elbaz, creative director for 14 years, are indeed proving difficult to fill. 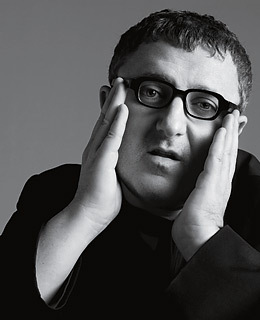 Mr. Elbaz joined Lanvin in 2001 and remained the creative director until 2015. During his tenure, he is credited with finding the optimal balance between heritage and commercial success at one of the oldest couture houses in France. In addition to his unique interpretation of fashion, he was beloved for his warm heart and genial personality. Perhaps due to the acquisition by Fosun and a desire to start with a clean slate, or maybe as a result of the harsh words of fashion critics towards Lapidus’ work, the house will need to attract new talent. We will certainly be looking forward with eager anticipation to the new chapter of this iconic house.